When a company, business, or individual comes to our firm for help on Twitter marketing, we usually have an initial “meeting” to see what their objectives are and if we are a good fit. For whatever reason, Twitter seems to be one of the most misunderstood social media out there…and yet…one of the most popular. Almost every prospective client thinks they want to be on Twitter…no…check that…they NEED to be on Twitter (they heard it from a friend). The fact of the matter is Twitter really doesn’t work for 8 of 10 businesses. I am not trying to dissuade you from Twitter, I use it everyday. I just want to use this moment as a reminder you don’t have to be involved in every social media fad out there. Some social media platforms will be great ‘ongoing and active’ fits for your business. Other platforms, well, the extent of your actions will be going out, registering your user name, and maybe an occasional “check in” or whatever. So why does everyone want to be on Twitter? By now, you see Twitter everywhere. Watch the morning news and you will see a variety of newscaster’s Twitter names flash on the screen. @JoeMorningNewsCaster or something like that. At night you will find them on any reality show or special. Yep, Twitter has done a great job piercing the market. But does it fit you? Why are so many businesses really interested in Twitter? I think it is that Rock Star perception. I mean if a @YokoOno can get 4.7 million followers it shouldn’t be hard for me to get some right? And, if I get some followers, that could mean business! You remember that game as a child when you tied two cans together via a piece of string? You know the one that had you shouting into a can and the vibrations ran down the length of the can until reaching the person on the other end (who could then “hear” you no thanks to the fact you were only 10 feet away to begin with?). Well, Twitter is kind of like that…except sometimes, despite your talking, there is no one on the other end. Or, even worse, there are 7 billions cans & strings and you can’t separate the “noise” from the good stuff. Like many of the other social media sites in this book I am going to tell you set up a Twitter account even if you don’t end up using it. Even @Jello locked up their twitter name even if they don’t really seem to do anything with it. Setting up your account is easy. Go to Twitter.com and create an account. The account is going to be tied to an email and Twitter will send you a confirmation email that you must click on to complete the setup. The only major decision you will need to make is your user name. At the time of this writing, Twitter was still limiting your user name to 15 characters. So if you were hoping for @BradIsTheCoolestTwitterUserEver, you are going to have to tone it down a bit. If you can find a Twitter user name that matches your company name, great. More often than not, you are going to have to be a bit creative. Keep in mind that you can create more than one account per entity. One for your business, one for you personally. At some point in your future, your personal twitter account may take over (especially if YOU become the brand). For example, I have twitter account for most of my companies, but the bulk of my tweets are sent via my personal account @Godfadr. You can see that, very early on, I did not push @ExposureOne in favor of @Godfadr. However, I still need a place for those people that only know about Exposure One to go – I mean @Godfadr is a pretty big disconnect if you don’t know my Twitter name and the reason for it. The @TwitterName will always stay the same, but you can change the “title” if you wish. So, try and find something close to your company name – even a short version of it. I tend you make the “name” line the same whenever possible. Unless the company is so broad the title needs clarification or we couldn’t get close enough on the Twitter name. Now that you are set up on Twitter, should you actually start tweeting and opening up that floodgate? Let’s look at a few things that may help you determine if using Twitter is a good fit. Psst. I think you are being followed. Twitter is a made of up of people following each other but in less of a creepy stalker way. When you “follow” someone, you are going to see what he or she has to say (in the form of Tweets). You decide which people you follow and which you don’t. Just because someone is following you it doesn’t mean you are going to want to follow them (for a variety of reasons I will discuss later). *Although if you ever don’t like someone following you, you can “Block” him or her at any time. So, you have to be interesting enough for people to follow you. Now, just because someone is following you, doesn’t mean they see your tweets on any consistent level. So, just because you have followers, it doesn’t mean each one will see every message you post. But that also doesn’t mean you shouldn’t keep on the radar of the ones that are paying attention to what you say. Uh oh. Are you long winded? Twitter posts are a max of 140 characters. If you are long winded or like to wax poetic on each of your tweets, you will be cut off, most li..
Ah dang….See what I mean. It is tough. There is an art to writing short “Tweets” that both convey a message and prompt a response. Although some people get in to a considerable amount of abbreviations, most do not…so plan on getting pretty witty with the short prose. Not only is it well within the 140-character limit, it does raise an eyebrow and beg to be clicked. FYI – “Links” are abbreviated in Twitter, so you won’t lose the use of too many characters if you have a long url link. Are you ready to talk…like a lot? There are basically three ways someone tries to get your attention in Twitter. Using the “@YourName,” Direct Messaging (DM’s) and #Hashtags. For the most part, that is a passive tweet. It will show up in your “@ Mentions” wall. You can choose to respond or not – one is not necessarily expected. That tweet requests some sort of response or I risk losing the follower. If that wasn’t enough, there is another way for people to get a hold of you on Twitter (although less frequent). It is called “Direct Message” or DM for short. Think of DM just like an email inbox. The only person that gets the DM is you. On the plus side, it is a great way to take a [public] Twitter conversation to a private venue. One downside it is yet another email box to monitor. The other problem is the DM box seems be a favorite among spammers and hackers (although a lot better lately). Hashtags are a great way to search twitter or create a thread based on a subject rather than a tweet. For example. With #Hashtags, every one of those tweets would show up in a search (if I searched for #WineFest). Hashtags are great for what is trending or most talked about on Twitter. There are also some fun strategies for using hashtags on a day-to-day campaign. IF Twitter is a good move for you and/or your business, you are going to have to realize it will take a significant portion of your time – especially as your popularity grows. By now you are probably ready to run away as far as you can from Twitter so let me rope a few of you back in. In some instances and business Twitter can be invaluable. When I was starting a cigar company called Nomad, Twitter was instrumental in communicating with cigar smokers, fans, reviewers, and writers. I found a whole passionate community tweeting about what cigar they were smoking, what they liked, and what they didn’t. It lead me to launching the cigar brand with the Twitter user name right on the outside of the band (something no other cigar company had ever done). Twitter was no doubt a major influence on the fast growing popularity of the cigar line. So, what is the bottom line on “IF” you should be on Twitter? Will you have ongoing conversations with your fans and potential customers that goes beyond the scope of just selling them stuff? Zagg makes protective film covers for iPhones, computers, cameras, etc. @Zaggdaily is thier Twitter account user name (they could not get @Zagg as it was already taken). …get you to buy a screen protector. But, the bulk of their tweets are about cell phones, computers, surveys, viral videos. They understand that they will not be able to keep their followers if all they are doing is pitching their stuff – they need to provide value. If you are going to have an “active” twitter account, you need to pass on value to your followers in addition to sell them. Although there is no hard and fast rule, I like to see at least 15 non-sale related tweets for everyone one that is a self-promotional tweet. Personally, I like Twitter for some of my clients, but certainly not all. I would guess that an active Twitter account is really only useful for about 20% of all businesses (but very powerful for those 20%). Set up and account with Twitter. Choose your UserName carefully as it cannot be changed. Set @ tweets and DM’s on your account to text message you or email you. That way you don’t have to log on to your account all the time to see if you have a message. Be sure to upload a photo. Otherwise you are stuck with the ugly Twitter “Egg” that just screams amateur. Look at a few programs that help you manage your twitter account. We list a few at ExposureOne.com/TwitterTips. Programs can help you schedule tweets and find more people to follow. 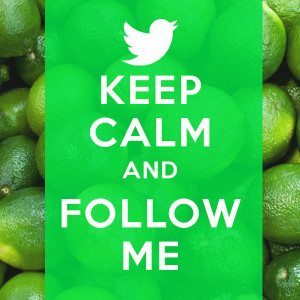 Looking for more followers? Check out your competition. You can go to their Twitter account and see who they follow and who follows them. Pay attention to (Follow Friday) #FF if you see people on your feed doing this. This happens on, surprise, Friday. They are usually recommendation from followers on other people you should be following. Oftentimes this list is a great source of finding new followers. Use hashtags in tweets when possible. For example, “Had a great cookie from @Oreo. #cookies #snacktime” – That tweet will be seen by followers and anyone that looks up “cookies” or “snacktime” on twitter. Great way to find people with common interests and many will end up following you!